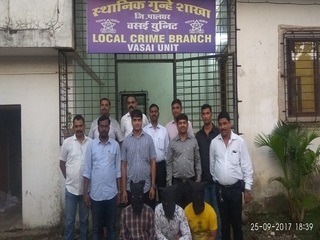 The Vasai Local Crime Branch (LCB) arrested two locals, who had come to sell 21.7kg Ephedrine drug at Manikpur, Vasai West, India last Sunday night, October 1. The cops have also nabbed a Nigerian national identified as Stephen U, who had come to buy the entire cache from the duo. Along with the drug consignment, a high-end luxury car has also been recovered from the crime site.